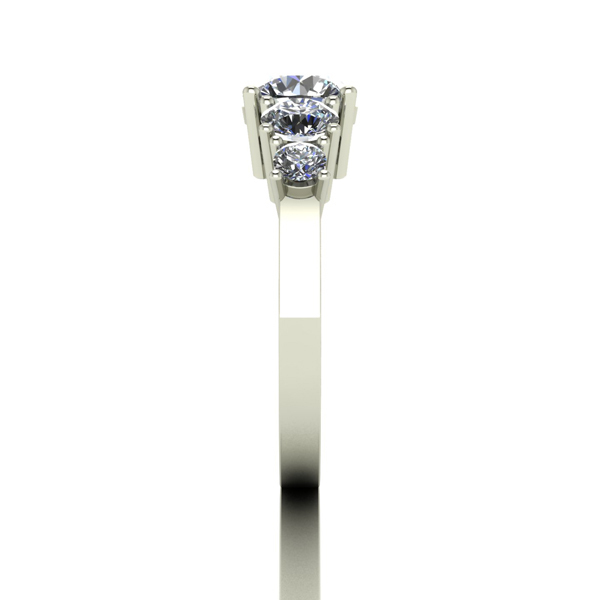 Almost as hard as diamonds on the Mohs Scale (9.25-9.5), Moissanite stones are an exciting new addition to the world of jewellery. 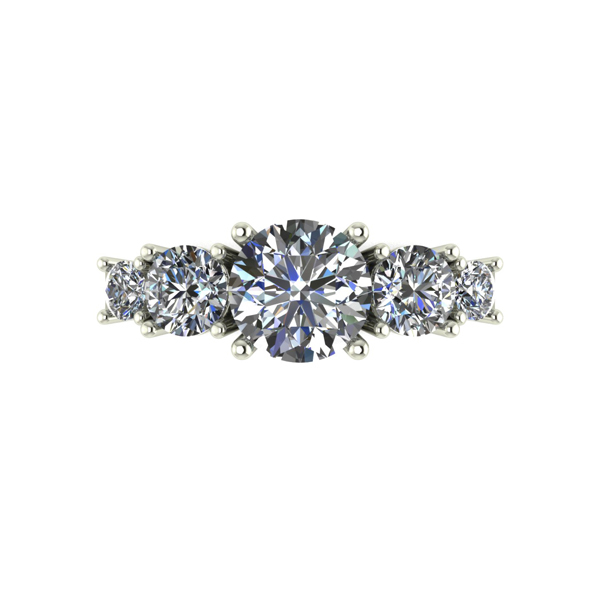 This stunning Moissanite Lady Lynsey Half Eternity Ring features five Moissanite stones that have been claw set to allow light to flood in for an intense and glittering sparkle. 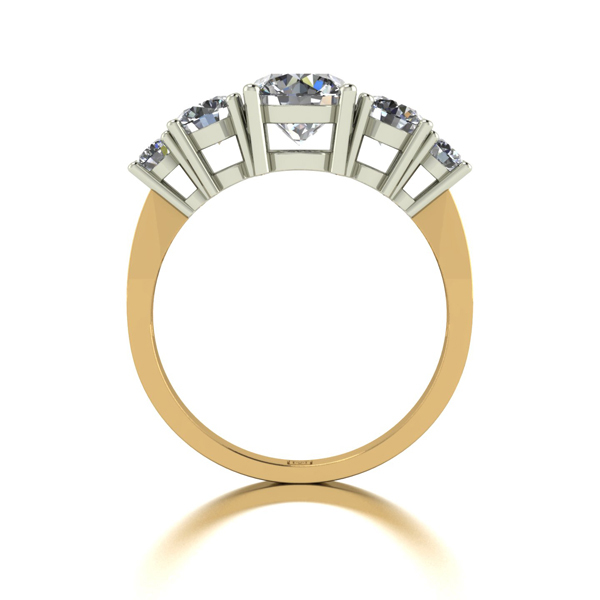 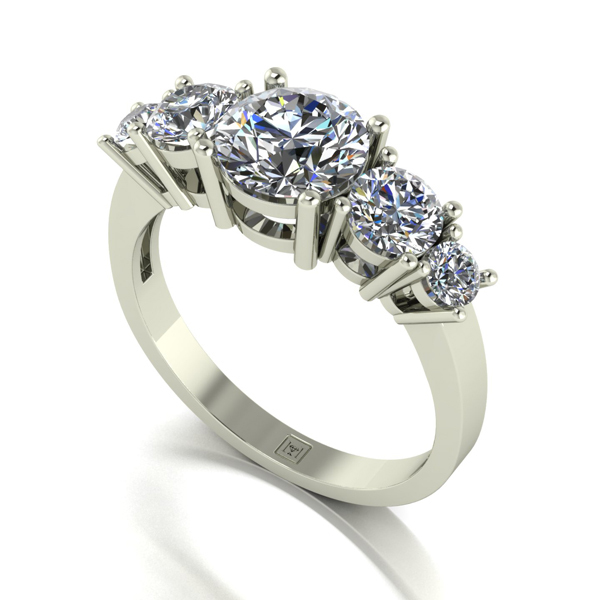 Hand set in rhodium-plated 9ct yellow gold or 9ct white gold in Birmingham’s historic jewellery quarter, this luxurious ring comes beautifully presented in a gift box, complete with booklet and certificate of authenticity.